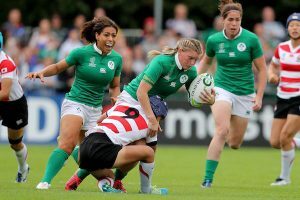 NSW Australia has expressed its interest in hosting the 2021 Women’s Rugby World Cup, and joins six other countries, in the pursuit of emulating Ireland in 2017, who hosted a great tournament, with record fan turn out by any standards. They join England, Wales, Portugal, France, and the current world champions New Zealand, who are also in the race. The countries will know their fate when the winning bid is announced by the World Rugby Council on the 14th of November in Dublin. This is a move by the NSW government to host at least 10 international sporting events, that would seek to inject more than $1 billion in the economy, with restaurants, hotels, bars and tourism being the primary beneficiaries of this move. The World Rugby Union has announced significant changes in the format of the 2021 tournament, that will see quarterfinals introduced, in an aim to see more big teams in the tournament battle it out, before proceeding to the semifinals. This will see classification matches scrapped, as opposed to the previous tournaments, where teams that could not make it to the semifinals would play classification matches. In the new system, teams that will not be making it into the quarterfinals, will bow out of the tournament, and proceed home. These changes were announced during the opening of the 2021 tendering process, and it was revealed that these changes will also apply to the men’s tournament, after extensive consultations with the top countries, who were comfortable with the decision. These changes will also see the tournament period increased from 23 days to 35, to help players give their best during the tournament, and also to improve their welfare. There are no changes in the number of teams that will take part in the tournament, and only 12 will make it to this big event. The squad size has also been increased from 28 players to 30, after extensive consultations following the 2017 tournament, where most countries were hit by long injury lists, requiring players to play longer, as compared to countries that had fewer injuries. Italy, for instance, backed out at the last minute from flying in additional players, after most of their players were ruled out because of various injuries. It had been suggested by many pundits that the Union would bow to pressure, and increase the number of teams to 16 from the current 12, but this did not come to pass. It was suggested that there was more to be done on bridging the gap between the top six, and the bottom six and that these considerations will be reviewed in the next cycle.